NEW DELHI, October 5. /TASS/. 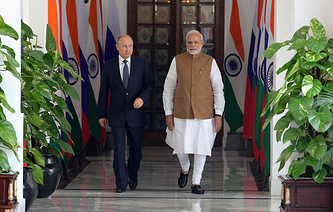 The new round of the West’s accusations against Russia has not affected the course of the Russian-Indian talks Russian President Vladimir Putin is conducting in New Delhi, the Rossiya 24 TV channel quotes Russian Presidential Spokesman Dmitry Peskov as saying.